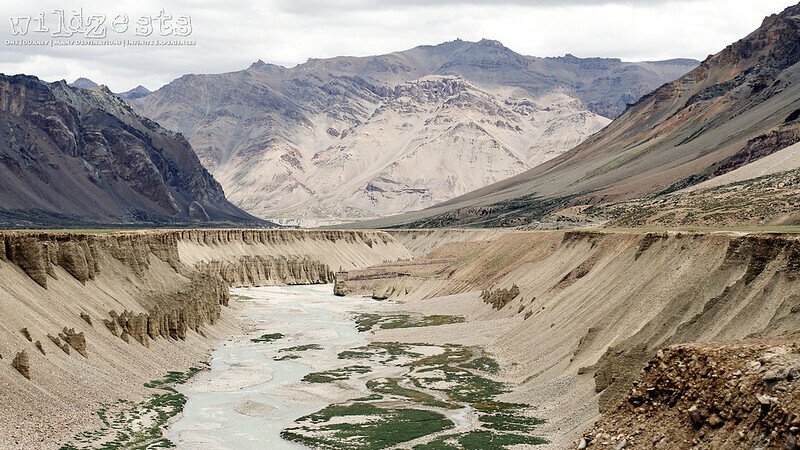 WildZests: Trip #1: August 2007: Our first ever trip to Ladakh – this is how it all started! 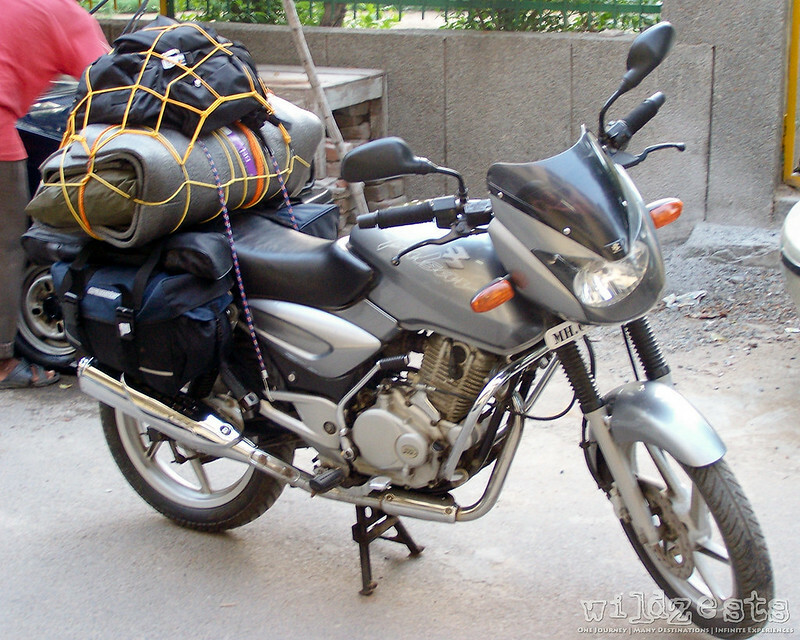 Trip #1: August 2007: Our first ever trip to Ladakh – this is how it all started! 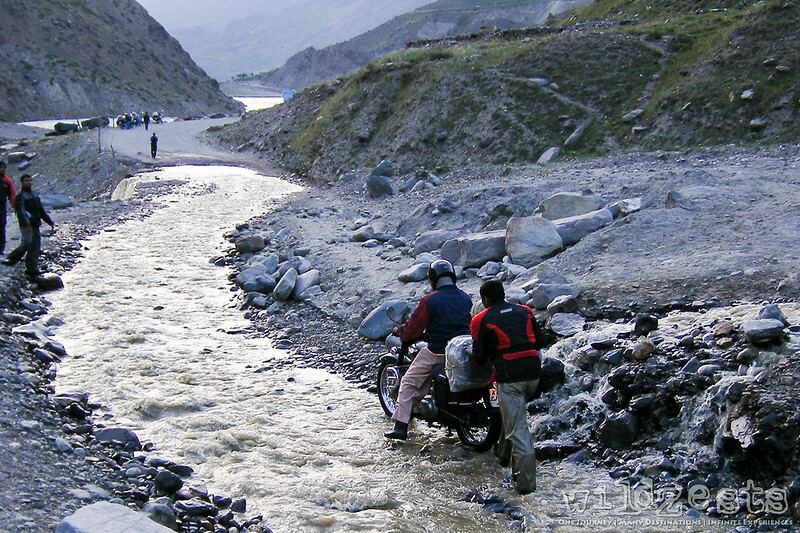 In June of 2007, my dear friend Elly tabled the idea of doing a two week ride to Ladakh. Honestly, till then I never really knew about the place and may have never known but for that day! I had done rides before and most of them were crazy unplanned trips, but nothing that could match this one. We had a couple of friends who had done this before and were going to join us on the mission, some more folks joined into the plan later on. 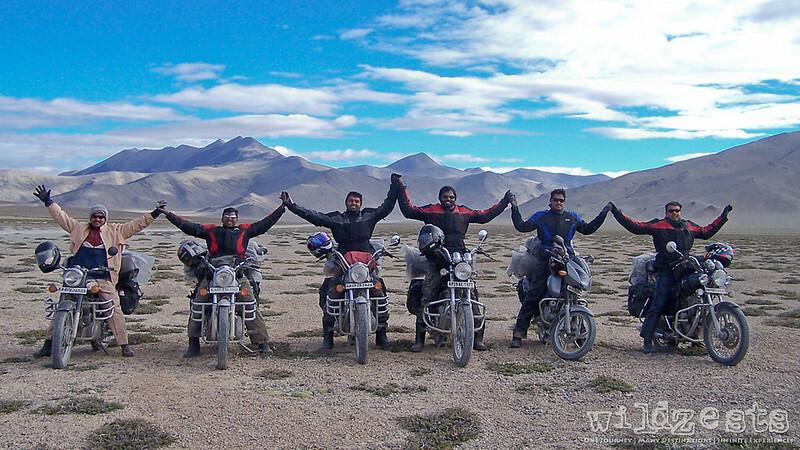 Soon we were a group of 10 individuals and 7 bikes who were all set to explore the barren landscapes of Ladakh. Most of us had no idea on how to send the bikes out by train etc, but having experienced folks in the group helped in getting the logistics planned out etc. Riding gear was bought from our very own friend at Cramster and we were all getting nervously excited about the whole trip. Tickets were booked and bikes were shipped three of days prior to our arrival at Delhi. Finally the d-day arrived on July 28,2007 and we were all airborne to our first destination i.e New Delhi. While we successfully unloaded all the Enfields at the railway station, we had a bit of a nightmare when the one and only Pulsar didn’t show up. It was shipped from Mumbai and was sent on a train that terminated at Amritsar, we were told that they probably missed unloading it and it should be coming back on the same train the next day! While the initial search operation was painful, a journo friend pulled some contact with the station master and thereon we were attended like celebrities. It was an experience that exemplified how the slow moving government machinery can be accelerated through the right levers. We were running late by a day when we started, but we were all together and that was the biggest highlight of the trip back then. 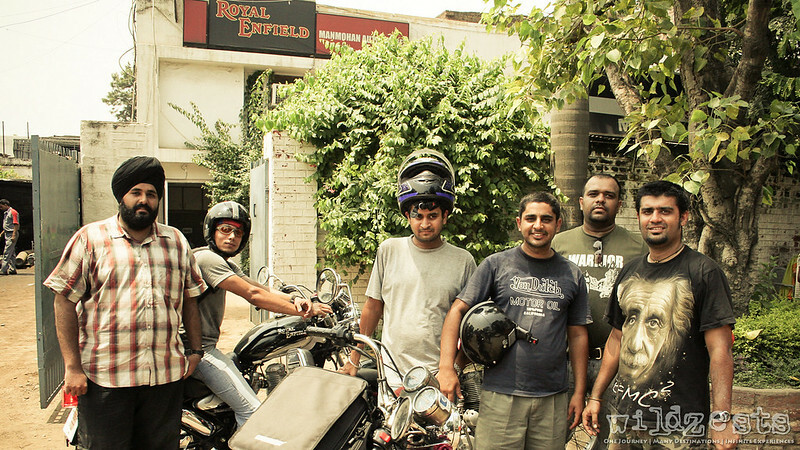 The stopover at Chandigarh was the most memorable one, all thanks to the Chandigarh Road Survivors who treated us like long lost friends and even escorted us out of the city as we left early morning only to be stalled by my bike that had an alternator failure. We finally left for Kullu that afternoon and had it not been for the help from Jojo and his boys, we would have probably lost another day in getting the bike fixed. The excitement never stopped that day and we literally lost contact with one of our crew who rode from Mandi to Kullu without any halts after his bike had to be jump started due to a battery failure. Two others champions rode that distance with fused headlamps, using a Maglite as a light source. Finally we regrouped at Kullu and everything was okay! 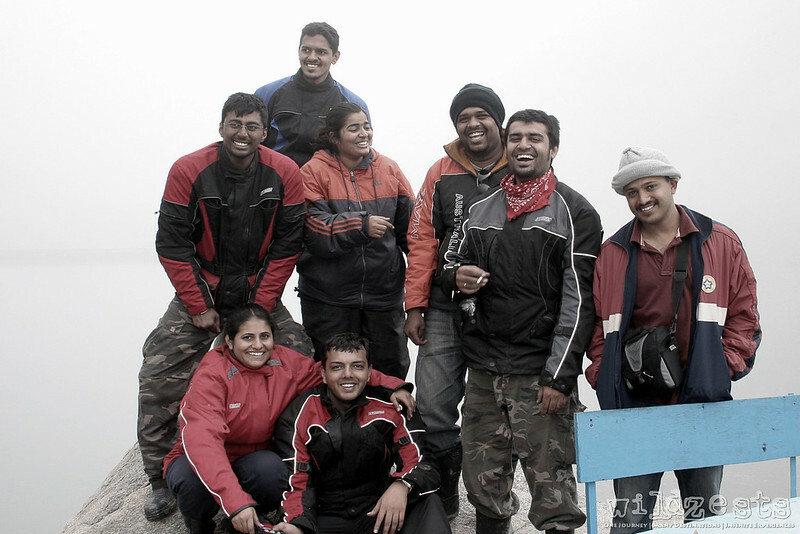 Next day, we were going to climb our first pass – Rohtang! After a harrowing experience through the slush and with half burnt clutches we thoroughly enjoyed our first Maggi at Marhi and crossed the pass at around 5PM. 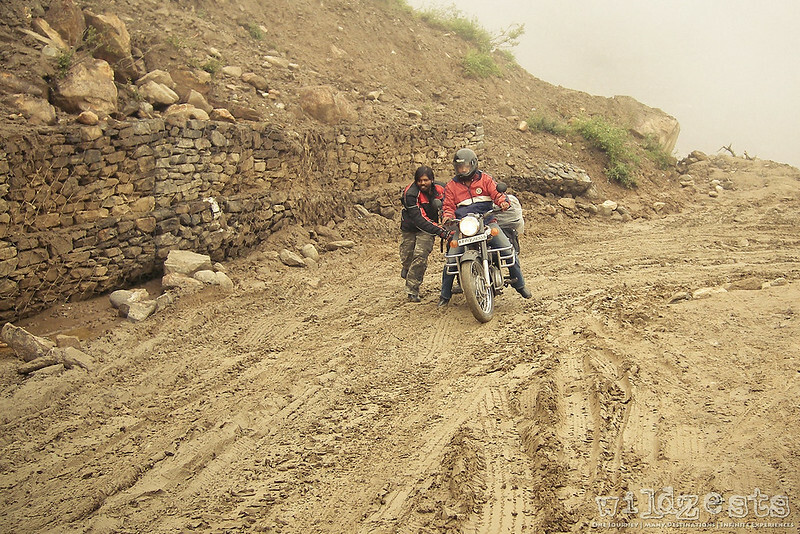 After coming down from the pass and beyond Koksar, we were hit by the next hurdle. It was around 6PM and the road had disappeared, nobody had a clue on where to go since we had we had to cross the infamous Paagal Naala at around 6PM. 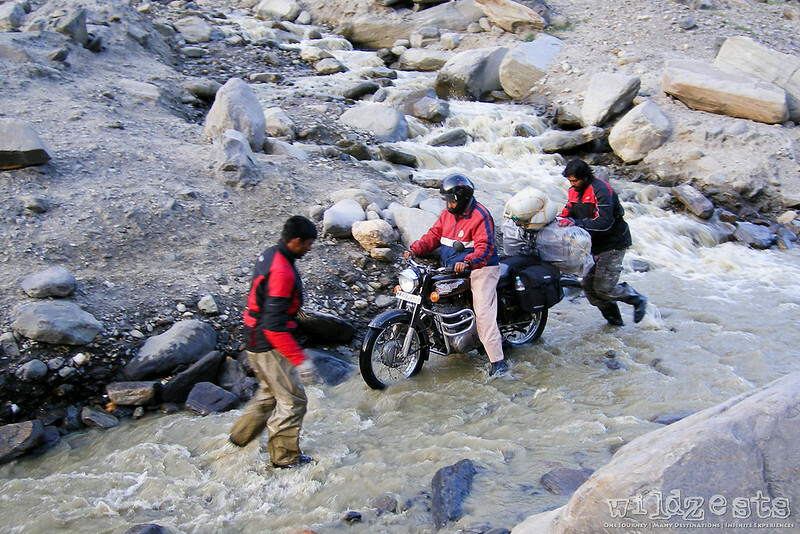 Finally, it was a good team effort that saw us pass through the raging river like water crossing – our first water crossing and one of the most memorable too. It’s sad to see that the legendary naala doesn’t exist anymore, there was a bridge on it a couple of years ago which is now gone and we passed through it this time around, but it wasn’t like what you see in the pictures below. The following day saw one of our riders getting hit by AMS – yet another first for us. We decided to stay another day at Jispa and help him acclimatize but he finally had to drop out of the group and turn back. With heavy hearts, we bade him goodbye and moved on! Soon we were riding in the mountains like it was second nature and after passing through the biting cold at BaralachLa we made a quick photostop at Sarchu for some breath-taking views. That day was the first time ever we stayed in those big tents at Pang for about 50 bucks per head. Though it got really cold in the night, it was an awesome experience to stay at such a basic place and yet cherish it like a 5-star experience. The open air experience for the morning rituals was a new milestone for many in the group. The following day morning saw us ride through the 30kms of gruelling terrain at Moreh Plains, but this was also the best photoshoot opportunity we had encountered so far. This was the first time for most of us to be riding through such a long stretch of open land and even though it looks perfectly flat, the sand is treacherous enough to swallow half the tyres in some places. The climb to TanglangLa was also quite a tough one and finally we were nearing our destination after crossing second highest pass in the world. We were so delighted to enter Leh that we took a long break at this sign board just to let the feeling sink in. 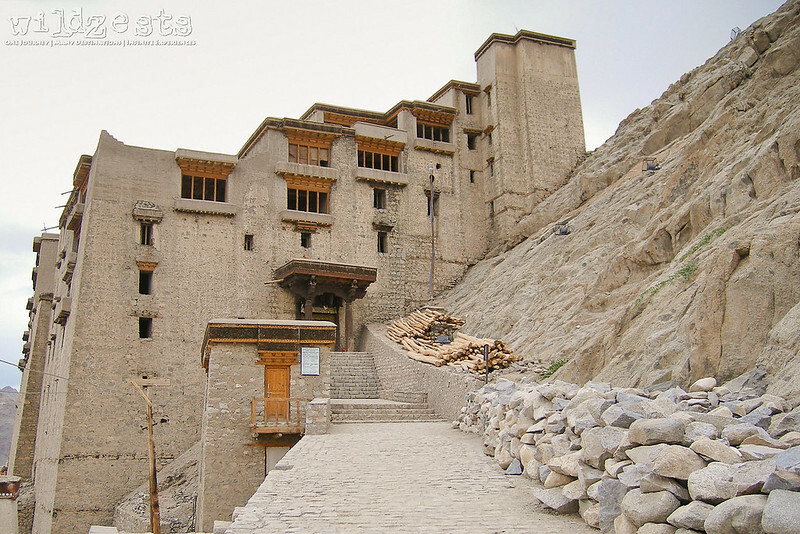 At Leh, we roamed around the city and visited the usual suspects like the Shanti Stupa, the Leh Palace, Shey Palace etc. 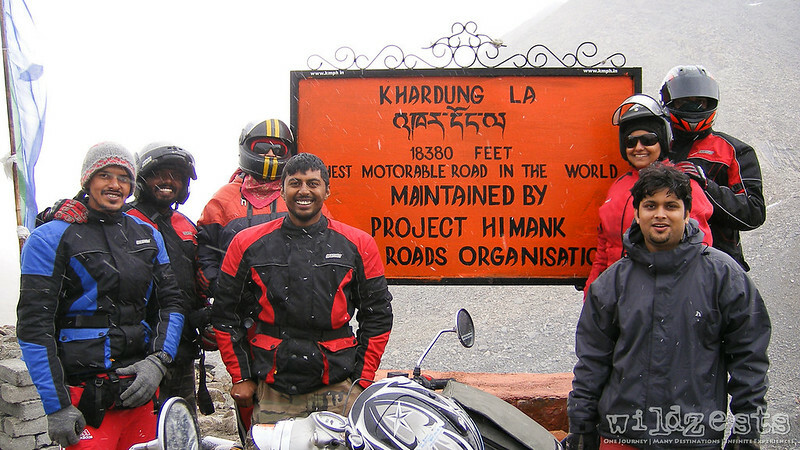 The next big event was going to be a ride to KhardungLa – the moment of pride for all of us! 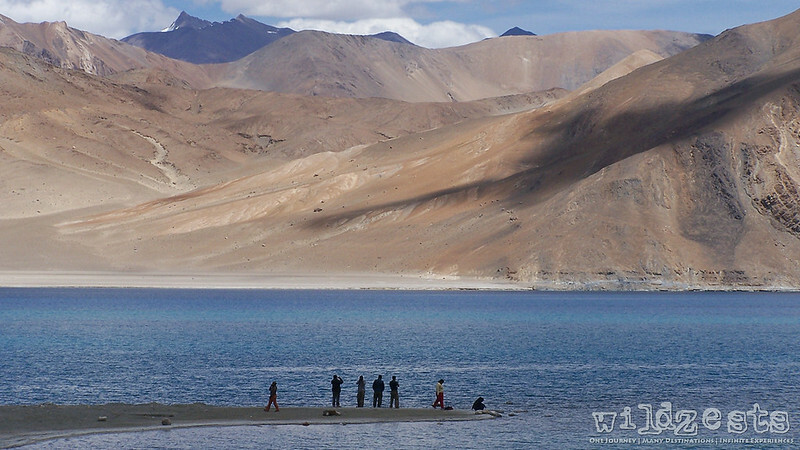 Given that we were a bit behind schedule, we had to squeeze in a day trip to Pangong Tso. 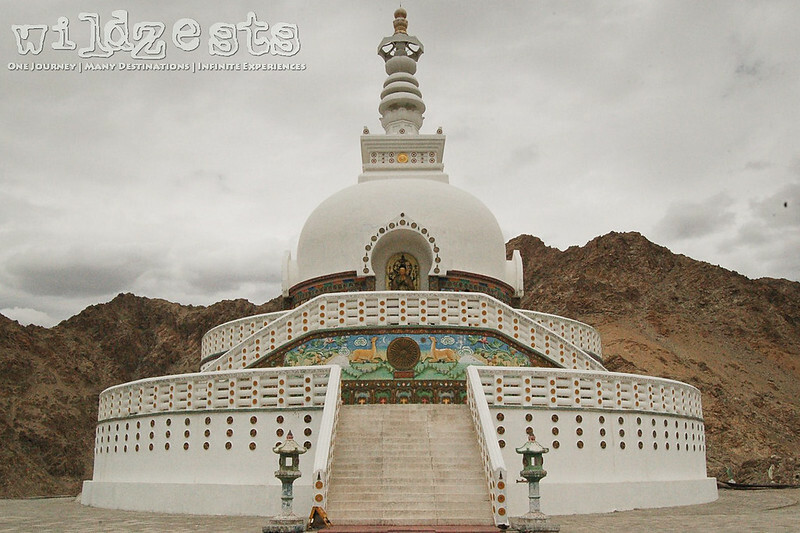 We decided to hire two cabs for the Pangong visit since riding up and down in a day would have been virtually impossible and extremely tiring. Pangong also used to have the raging Paagal Nallah just as you reached the lake which was like an urban legend at that time. There were stories which indicated that even the cabbies used to be scared to cross it after 3PM since it was said that the water flow could easily pull away a qualis or sumo. The mesmerizing lake itself is incomparable in its beauty and grandeur and the two hours we spent there were truly satisfying. With KhardungLa and Pangong covered in our first trip, we were out of time and we returned back safely to Delhi and got our bikes on the train after a lot of running around. Given that we were back just around the Independence Day, the railway stations weren’t accepting bikes as parcel and we had to get them onboard as accompanied luggage on general class tickets that they made us buy for no reason. 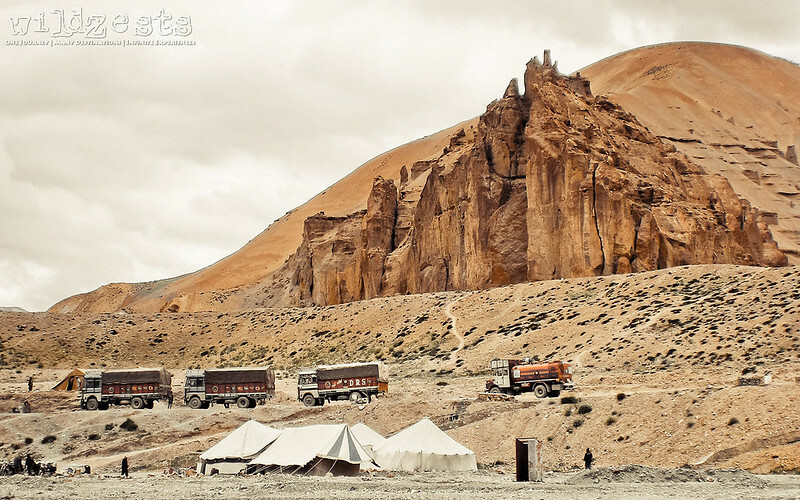 The trip was and still is the most memorable trip to Ladakh, it had all the elements to make it successful and enjoyable. PS> I've used a few pictures in the 2007 section that are clicked by my dear friends Elvin & John who were a part of this wonderful trip.